A sporty two-piece set that comes with a camouflage graphic on the sweatshirt. Classic sport style gets a modern update with striking graphics. 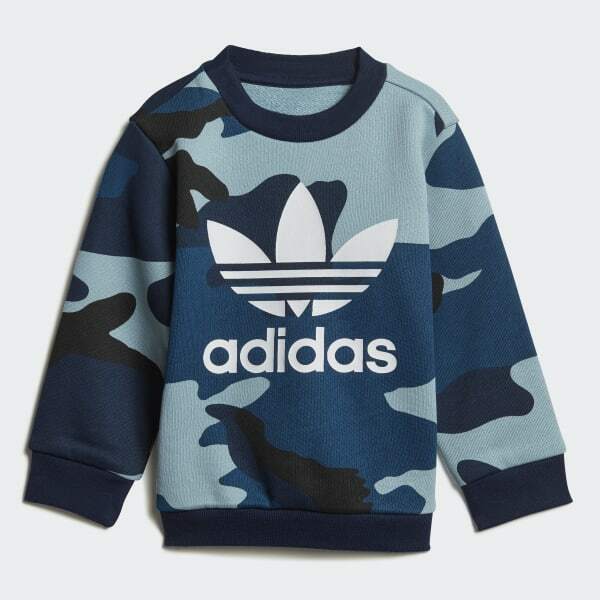 This infants' two-piece set has an iconic look with a big Trefoil logo on the sweatshirt and 3-Stripes on the pant legs. For a modern update, the sweatshirt comes with a seasonal camouflage pattern. French terry fabric gives the set a plush, comfortable feel.